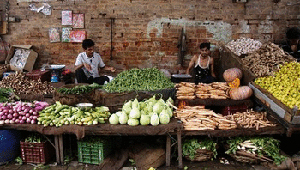 Udupi, Sep 10, 2014: Street vendors along with their many woes, have now caught the attention of the civic body. At least 269 street vendors, a number estimated by Udupi city municipal council (CMC), would soon get their photo identity cards to protect themselves from being harassed by authorities. According to a CMC official, as many as 269, including 35 women street vendors, would be given identity cards by the civic body to recognize their work officially. At present, street vendors do business fearing eviction as they are not licensed by any authority. However, now, the CMC would provide them shelter and toilets. Meanwhile, a committee has also been formed for the smooth functioning of their trade. Further, vendors, who obstruct footpath and roads, will be moved to proper places and they, too, will be given identity cards. Siraj U, a street vendor near city bus stand, told TOI that he has been doing the business for the past 10 years and has faced problems from the authorities. "But now, I have submitted my documents with CMC and hope to get the identity card at the earliest," he said. Anwar Honnala, another street vendor in the city, said that the vendors have been paying Rs 20 to a person from the CMC as rent for using the space. Meanwhile, Nithyanand Volakad, general secretary of Udupi Zilla Nagarika Samiti, told TOI that such a move will be welcomed as it gives dignity to their labour. But the officials should duly scrutinize the address proof and other required documents prior to finalizing the list of street vendors eligible to get identity cards. CMC commissioner, K Srikanth Rao, told TOI that photo identity cards will reach the street vendors in Udupi, Malpe and Manipal soon. Places where toilets should be built for street vendors will be considered and CMC funds will be utilized for it, he said.